[10th September 2013] 'Amnesia: A Machine for Pigs' - Out Now! Last year we were fortunate enough to be able to work with thechineseroom on the fantastic Amnesia: A Machine for Pigs and we're pleased to announce the game is now available via Steam!! Click on the image to the left to open the Steam Store! [Summer 2011 - Summer 2012] Did we forget something? Just a little update to say we've been busy collaborating with thechineseroom on Amnesia: A Machine for Pigs and an unannounced project powered by CryEngine. [May 2009] 'Soccer World: Manager 2009' released for iPhone! Designed for Apple iPhone and iPod Touch devices. Soccer Management action designed specifically for playing on the go with your mobile device! Guide your chosen team to league success, or save your bankrupt team from relegation. Scenarios provide additional challenges to test your management ability. Quick progression design ensures you can get to the match action promptly for your Soccer Management fix. Features over 1,500 players, from 3 international leagues. [October 20th 2008 @ 12:00] 'Mr Munchy' released for iPhone! Mr Munchy is Feeding Frenzy Fun for Apple's iPhone 3G and iPod Touch devices. Gameplay utilises the strengths of Apples platforms, requiring frantic touch and drag action utilising the touch display and timely rotation of the device to avoid hazards, utilising the empowering accelerometer. 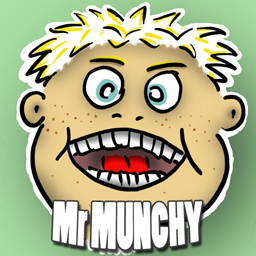 Mr Munchy is our first iPhone application and establishes our presence of this exciting new platform. Click on the Mr Munchy logo to see the product page, which includes screen grabs and video content. Developed for Stainless Games Limited. A direct conversion to Windows Vista (during the OS Beta period) from the original version available on Microsoft's Xbox 360 Live service. Crystal Quest for Windows Vista is available via MSN Games, presented by Oberon Media in collaboration with Codemasters. 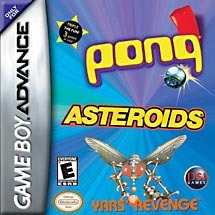 Announcing the launch of 'Pong, Asteroids & Yars Revenge' developed for Destination Software Inc. for the Nintendo Gameboy Advance platform. Enjoy three classic Atari gaming experiences in a single package! These applications were developed from scratch utilising classic reference materials and re-worked art assets. [April 07 2004 @ 11:12] New Miracle Studios Site Online! We're in the process of developing a new miracle studios site and possibly a forum. The forum would allow us to discuss future project development with the online community, to ensure our products are tuned to the expectations of the public. Watch this space for news of our progress. [November 21 2003 @ 09:00] Upgraded CDA site online! Today miracle studios posted the upgraded CDA site online on behalf of the Co-operative Development Agency South East Hands and Wight (CDA-SEHAW), a Co-operative and Community Development online training and development course. Today miracle studios was commisioned to upgrade the site for the Co-operative Development Agency South East Hands and Wight (CDA-SEHAW), a Co-operative and Community Development online training and development course. Today we registered the MiracleStudios.co.uk domain.